This information isn’t a substitute for professional medical advice, diagnosis, or treatment. If you have any questions or concerns, please talk to your doctor. Both are not suitable for patients who have moderate to severe kidney or liver disease, take MAOIs, or might be or are pregnant or breastfeeding. Patients with depression, bipolar, or anxiety should seek care from a psychiatrist. For more about safety, including the boxed warning for increased suicidal thoughts in young people, please read paroxetine important safety information and venlafaxine important safety information. The use of paroxetine and venlafaxine for the treatment of hot flashes is an “off-label” use. Rory-affiliated physicians have the discretion to prescribe these drugs off-label to meet the unique needs of individual patients. For more on off-label prescribing, see the Rory FAQs. Paroxetine, in low doses, has been shown to be an effective and safe non-hormonal treatment for reducing the frequency and severity of hot flashes in menopausal women. Many women are not eligible for systemic hormone therapy, and others are concerned about the risks. Paroxetine is a powerful alternative to systemic estrogen-based medications (hormone replacement therapy). Paroxetine is one of the selective serotonin reuptake inhibitors (SSRI) antidepressants that have been studied and found to be effective for the treatment of moderate to severe hot flashes in menopausal women. It’s important to note that paroxetine is commonly used to treat anxiety and depression. Rory-affiliated doctors prescribe paroxetine at 10 mg which is lower than the usual starting doses for treating anxiety and depression. SSRIs, like paroxetine, work by adjusting serotonin levels in the brain, which is thought to play a role in temperature regulation and their effectiveness in treating hot flashes. 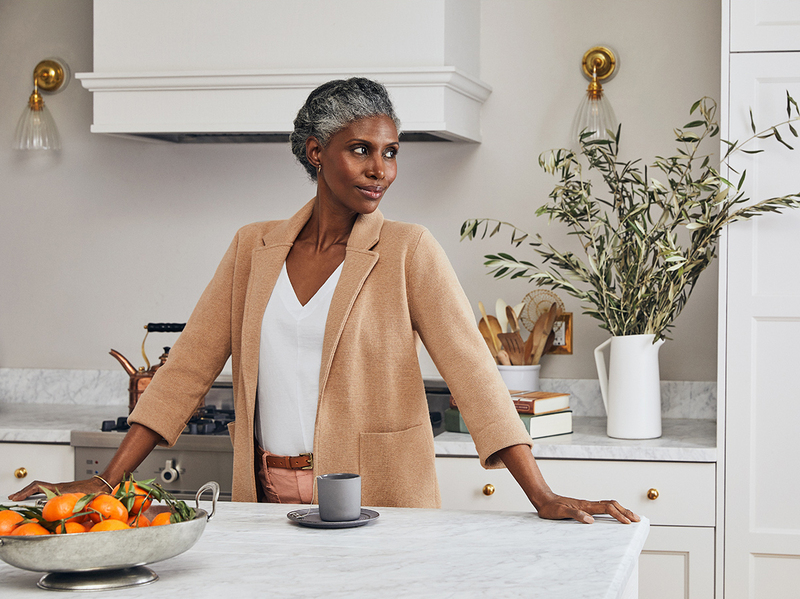 Venlafaxine has been shown to be an effective and safe non-hormonal treatment for significantly reducing the frequency and severity of hot flashes for menopausal women. Venlafaxine is in the family of medication called serotonin-norepinephrine reuptake inhibitors (SNRIs) and is most commonly used to treat anxiety and depression. However, it is also effective in decreasing the frequency and severity of hot flashes. 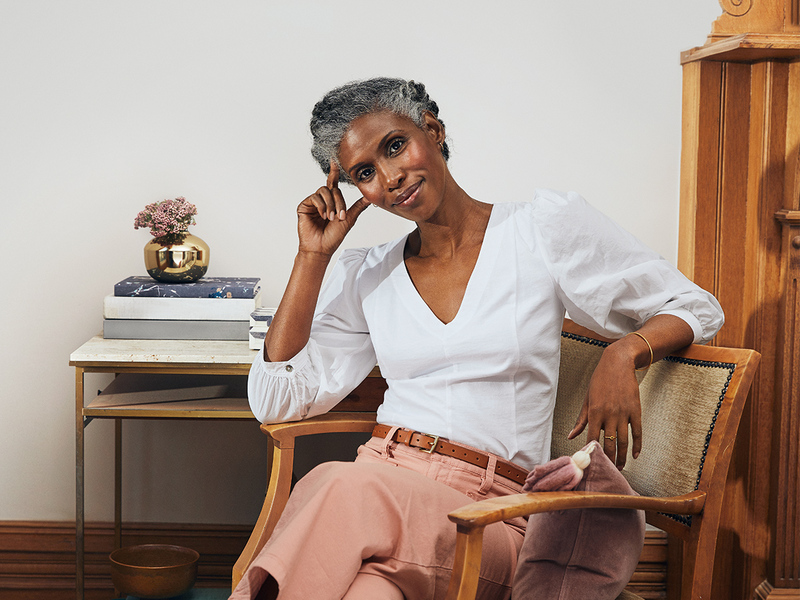 Prior to non-hormonal treatments for hot flashes, the majority of care options were oral estrogen and progesterone, and now women have the option of effective non-hormonal treatment. 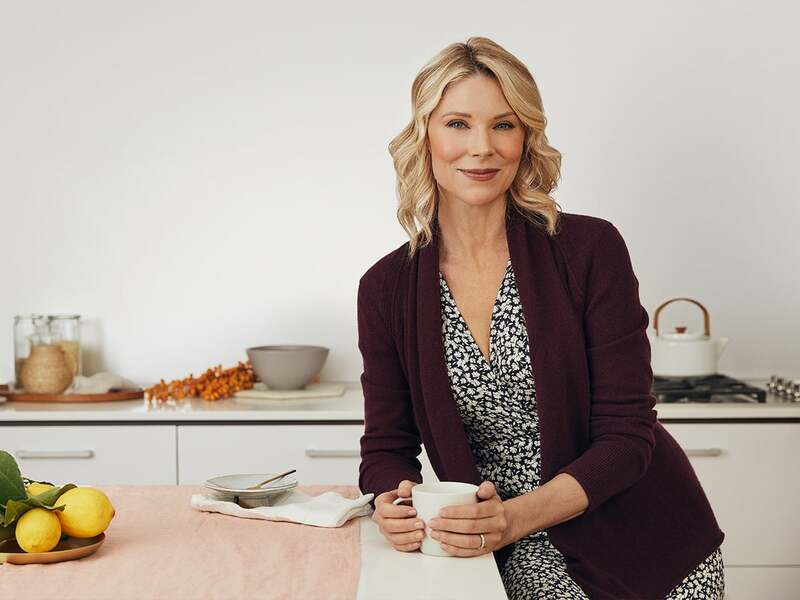 Similar to the SSRI medications like paroxetine, venlafaxine, and other SNRIs, work by adjusting serotonin levels in the brain, which is thought to play a role in temperature regulation and be responsible for their effectiveness in treating hot flashes. A study of perimenopausal and postmenopausal women comparing the effectiveness of low dose systemic estrogen therapy and venlafaxine in relieving hot flashing showed similar results between the two medications, proving that venlafaxine is an effective treatment for hot flashes. Paroxetine is part of a family of drugs called selective serotonin reuptake inhibitors (SSRIs) most commonly used to treat anxiety and depression. Rory-affiliated providers can prescribe paroxetine at lower doses than are typically required to treat anxiety and depression. At these lower doses, paroxetine may be effective in decreasing the frequency and severity of hot flashes. The use of paroxetine for the treatment of hot flashes is an off-label use. Rory-affiliated providers have the discretion to prescribe paroxetine off-label if they believe it is an appropriate course of treatment based on a patient’s unique medical history, symptoms, and preferences. Paroxetine is not appropriate for everyone—you and your Rory-affiliated provider will decide if paroxetine is appropriate for you. To learn more about who should not take paroxetine and the side effects that it may cause, including the boxed warning for increased suicidal thoughts in people under 25, please see the FAQ below regarding side effects and the important safety information for paroxetine. How do I use paroxetine? Paroxetine is a tablet that is typically taken daily with or without food. Please, always follow your healthcare provider’s instructions for how to take your medication and what dose to take. If you have any questions about your medication, once prescribed, please contact your Rory-affiliated provider on your My Ro account. How long does it take for paroxetine to start working? The North American Menopause Society (NAMS) reviewed clinical research pertaining to the treatment of hot flashes. NAMS found that women who benefited from SSRI treatment experienced a rapid reduction in the frequency and severity of hot flashes. Based on its review, NAMS recommends a trial of 2-4 weeks. If you are not getting any relief after 4 weeks, reach out to your Rory-affiliated physician, as this treatment does not work for everyone. The FDA requires that drugs go through a clinical testing process to establish that they’re safe and effective to treat a particular condition. Healthcare providers generally may prescribe a drug for an unapproved use when they judge that it is medically appropriate for their patient. This type of prescribing is called “off-label” prescribing. Off-label prescribing practices are sometimes validated by clinical experience and research and may be a widely recognized clinical practice. Rory-affiliated providers have the discretion to prescribe certain drugs off-label based on a patient’s unique medical history, symptoms, and preferences. Venlafaxine is part of a family of drugs called serotonin-norepinephrine reuptake inhibitors (SNRIs) most commonly used to treat anxiety and depression. 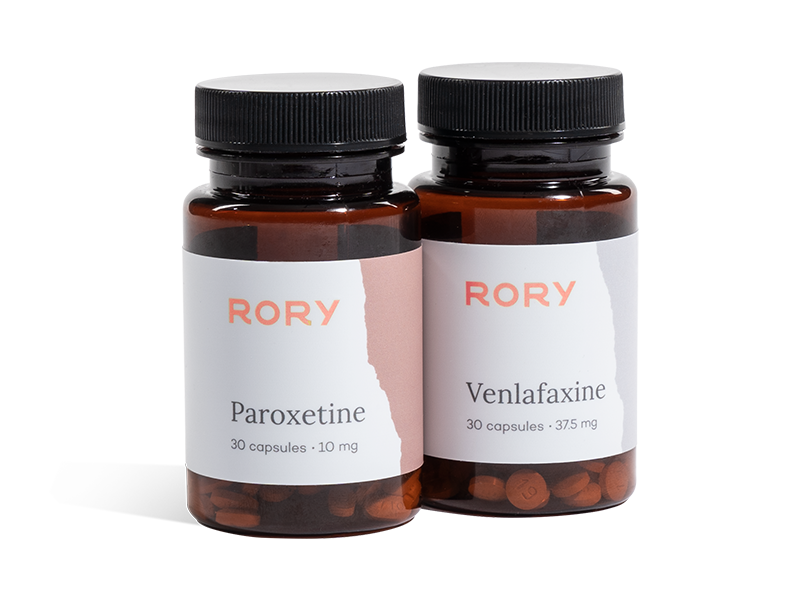 Rory-affiliated providers can prescribe venlafaxine at lower doses than are typically required to treat depression and anxiety. At these lower doses, venlafaxine may be effective in decreasing the frequency and severity of hot flashes. The use of venlafaxine for the treatment of hot flashes is an “off-label” use. 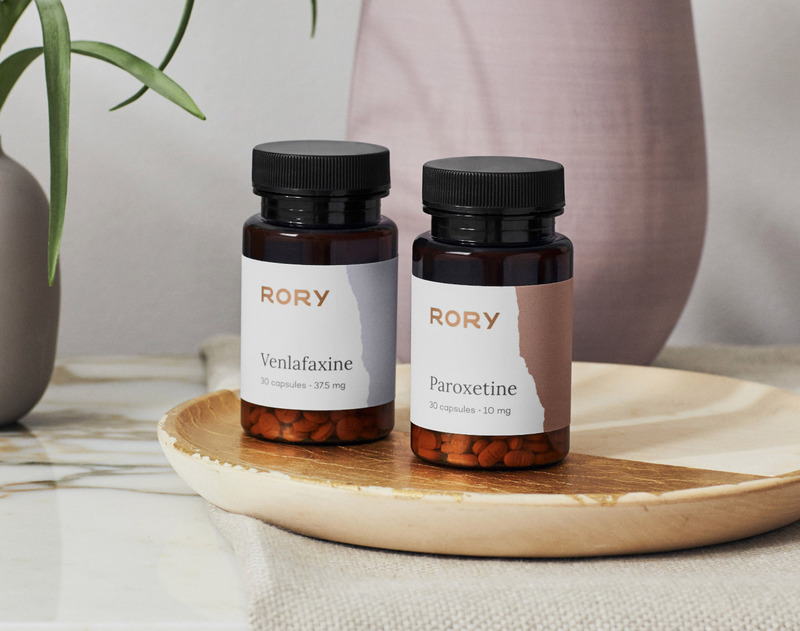 Rory-affiliated providers have the discretion to prescribe venlafaxine off-label if they believe it is an appropriate course of treatment based on a patient’s unique medical history, symptoms, and preferences. Venlafaxine is not appropriate for everyone—you and your Rory-affiliated provider will decide if venlafaxine is appropriate for you. To learn more about who should not take venlafaxine and the side effects that it may cause, including the boxed warning for increased suicidal thoughts in people under 25, please see the FAQ below regarding side effects and the important safety information for venlafaxine. How do I use venlafaxine? Venlafaxine is a tablet that is typically taken daily with or without food. Please, always follow your healthcare provider’s instructions on how to take your medication and what dose to take. If you have any questions about your medication, once prescribed, please contact your Rory-affiliated provider on your My Ro account. How long does it take for venlafaxine to start working? The North American Menopause Society (NAMS) reviewed clinical research pertaining to the treatment of hot flashes. NAMS found that women who benefited from SNRI treatment experienced a rapid reduction in the frequency and severity of hot flashes. Based on its review, NAMS recommends a trial of 2-4 weeks. If you are not getting any relief after 4 weeks, reach out to your Rory-affiliated physician, as this treatment does not work for everyone. This Important Safety Information has been adapted from the Prescribing Information for BRISDELLE®. Paroxetine and other antidepressant medicines may increase suicidal thoughts or actions in some people 24 years of age and younger, especially within the first few months of treatment or when the dose is changed. Watch for these changes and call your healthcare provider right away if you notice new or sudden changes in mood, behavior, actions, thoughts, or feelings, especially if severe. Pay particular attention to such changes when sertraline is started or when the dose is changed. You should not drive, operate heavy machinery, or do other dangerous activities until you know how paroxetine affects you. Who should not take paroxetine? loss of consciousness (pass out). Take thioridazine or pimozide. Do not take thioridazine or pimozide together with paroxetine because this can cause serious heart problems or sudden death. Are pregnant. paroxetine is not for pregnant women. Paroxetine can harm your unborn baby. Suicidal thoughts or actions: paroxetine, and related antidepressant medicines, may increase suicidal thoughts or actions within the first few months of treatment. Depression or other serious mental illnesses are the most important causes of suicidal thoughts or actions. Watch for these changes and call your healthcare provider right away if you notice: New or sudden changes in mood, behavior, actions, thoughts, or feelings, especially if severe. Pay particular attention to such changes when paroxetine is started. Keep all follow-up visits with your healthcare provider and call between visits if you are worried about symptoms. Call your healthcare provider right away or go to the nearest emergency room if you have any of the following symptoms, especially if they are new, worse, or worry you: Attempts to commit suicide; acting on dangerous impulses; acting aggressive or violent; thoughts about suicide or dying; new or worse depression; new or worse anxiety or panic attacks; feeling agitated, restless, angry, or irritable; trouble sleeping; an increase in activity or talking more than what is normal for you or other unusual changes in behavior or mood. Reduced effectiveness of tamoxifen: Tamoxifen (a medicine used to treat breast cancer) may not work as well if it is taken at the same time as paroxetine. If you are taking tamoxifen, tell your healthcare provider before starting paroxetine. Abnormal bleeding: paroxetine may increase your risk of bleeding or bruising, especially if you take the blood thinner warfarin, or non-steroidal anti-inflammatory drugs (NSAIDs), like ibuprofen, naproxen, or aspirin. Bone Fractures: Women who take paroxetine may have a higher risk of bone fractures. Restlessness: Women who take paroxetine may feel an inner restlessness, nervousness, or be unable to sit still or stand still especially when they start taking paroxetine. What is the FDA-approved use of paroxetine? Paroxetine (10 mg, 20 mg, 30 mg, 40 mg) is approved by the FDA for treatment of Major Depressive Disorder (MDD), Obsessive-Compulsive Disorder (OCD), Panic Disorder, Social Anxiety Disorder, Generalized Anxiety Order, and Posttraumatic Stress Disorder (PTSD). Paroxetine (7.5 mg) is approved by the FDA under the brand name Brisdelle® for the treatment of moderate to severe vasomotor symptoms associated with menopause, and is not approved for the treatment of any psychiatric condition. What should I tell my Rory-affiliated provider before starting paroxetine? Tell your healthcare provider about all the medicines that you take, including prescription and non-prescription medicines such as migraine headache medication (triptans), other antidepressants and antipsychotics, vitamins, and herbal supplements. If you take paroxetine, you should not take any other medicines that contain paroxetine, including Paxil® , Paxil CR® , and Pexeva® . What are the most common side effects of paroxetine? These are not all the possible side effects of paroxetine. Please read the Medication Guide within the full Prescribing Information, including information about the BOXED WARNING, before taking paroxetine. All patients taking antidepressants should be watched closely for signs that their condition is getting worse or that they are becoming suicidal, especially when they first start therapy, or when their dose is increased or decreased. Patients should also be watched for becoming agitated, irritable, hostile, aggressive, impulsive, or restless. Such symptoms should be reported to the patient’s doctor right away.